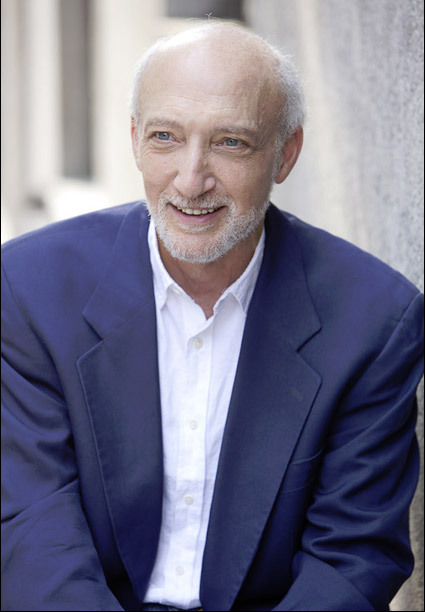 Steven R. Gerber Interview with Bruce Duffie . . . . . . . . .
Steven R. Gerber was born on September 28, 1948 in Washington, D.C. He held degrees from Haverford College and from Princeton University, where he received a 4-year fellowship. Steven's music composition teachers include Robert Parris, J. K. Randall, Earl Kim, and Milton Babbitt. His early works were in a free atonal style, incorporating serial and non-twelve-tone languages into a distinctive and deeply personal sound world. 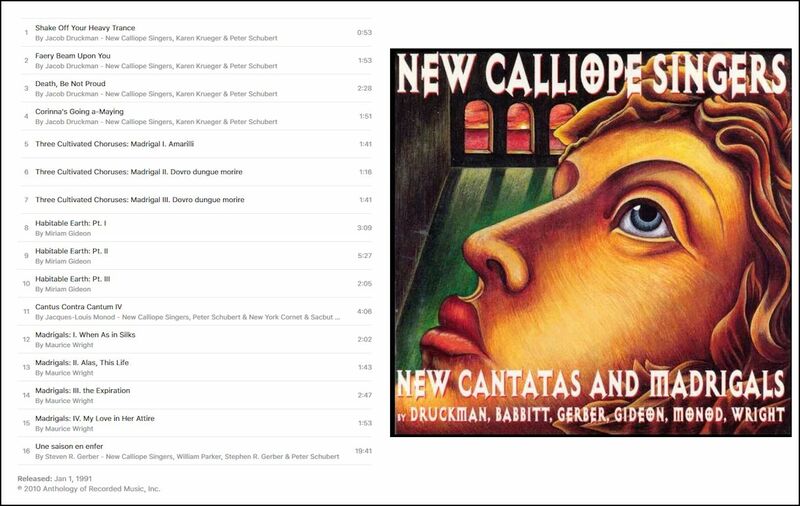 During his years as a graduate student at Princeton and throughout the 1970s, he wrote a number of stunning compositions, such as the a cappella choral works Dylan Thomas Settings and Illuminations (Rimbaud). Beginning in the early 1980s, he abandoned twelve-tone and atonal composition, with rare exceptions, and his music became much more tonal while still retaining the expressive elements of the his earlier works. Steven's music gained international attention as a result of CD releases featuring several of his major works for orchestra as well as concertos. His Symphony No. 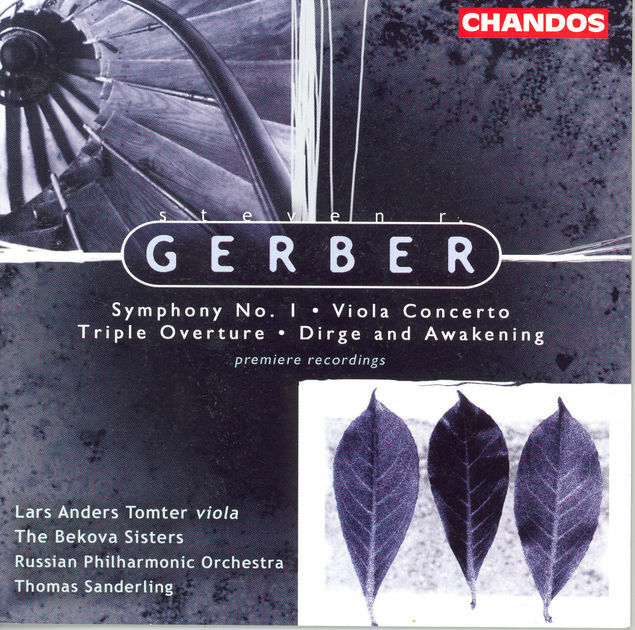 1, Dirge and Awakening, the Viola Concerto and Triple Overture were recorded by the Russian Philharmonic Orchestra under Thomas Sanderling, with Lars Anders Tomter, viola, and the Bekova Sisters Trio on the Chandos label. Koch International Classics released his Violin Concerto, Cello Concerto, and Serenade for String Orchestra, with performances by the National Chamber Orchestra under Piotr Gajewski, with soloists Kurt Nikkanen (violin) and Carter Brey (cello). 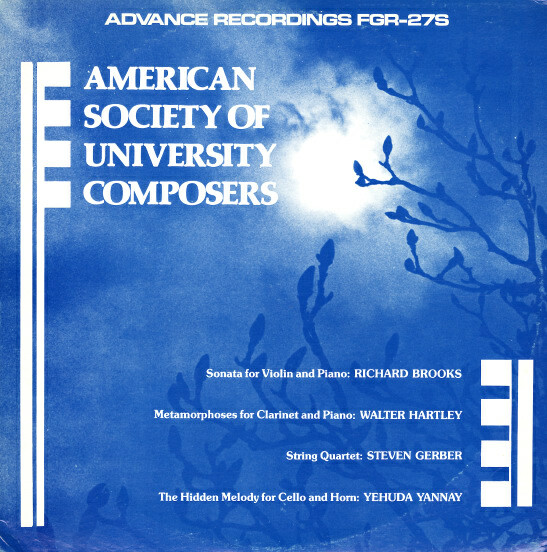 In 2007 Arabesque records released a CD with three of Gerber's orchestral works, Spirituals for string orchestra, Clarinet Concerto, and Serenade Concertante, featuring the St. Petersburg State Academic Symphony, conducted by Vladimir Lande, with clarinet soloist Jon Manasse. Other releases included recordings of his music with Composers Recordings, Inc., and Opus One record labels. The American premiere of his Violin Concerto at the Kennedy Center for the Performing Arts was performed in 1995 by Nikkanen and the National Chamber Orchestra under Gajewski. Carter Brey premiered his Cello Concerto with the same orchestra and conductor in 1996. 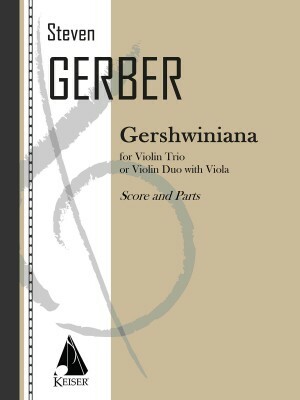 Other major works of Gerber's included a Viola Concerto written for Yuri Bashmet and premiered by him at his Summer festival in Tours, France, String Quartets No. 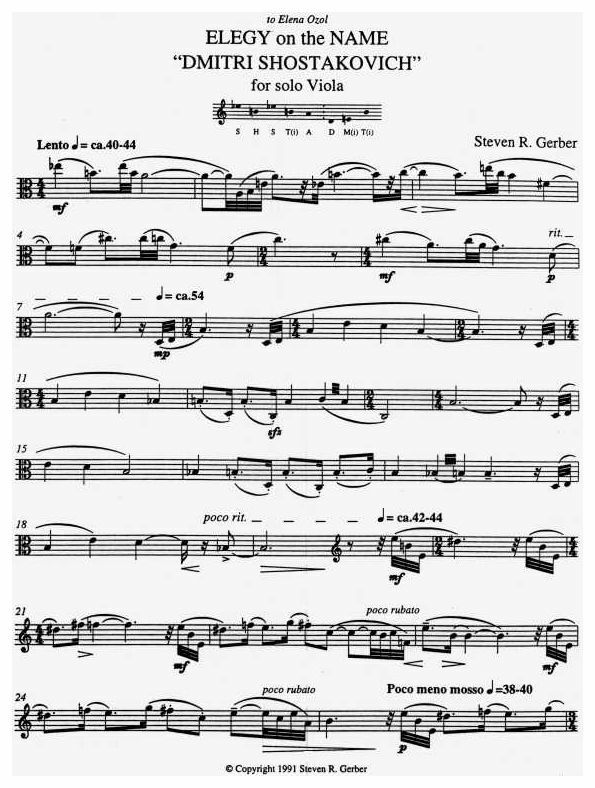 4, 5 and 6, written respectively for the Fine Arts and Amernet String Quartets, Spirituals for clarinet and string quartet, commissioned by Concertante Chamber Players for performances in 2000 at the Library of Congress, Merkin Hall (NYC) and in Harrisburg, a Clarinet Concerto for Jon Manasse, premiered by him with the National Philharmonic Orchestra under Maestro Gajewski, and Fanfare for the Voice of A-M-E-R-I-C-A, commissioned to celebrate VOA's 60th anniversary, and premiered at the VOA auditorium on a 9/11 memorial concert in 2003. The orchestral work Music in Dark Times was commissioned by Vladimir Ashkenazy and the four World Premiere performances took place in March, 2009 with Maestro Ashkenazy conducting the San Francisco Symphony. 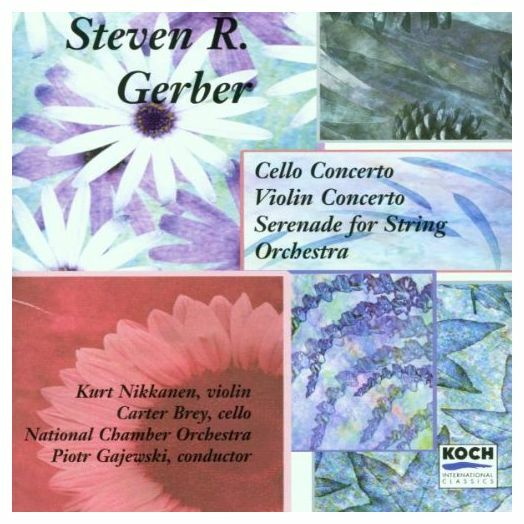 Steven's chamber music release on Naxos, Steven R. Gerber – Chamber Music features nine of his finest works in the genre, recorded by violinists Kurt Nikkanen and Cho-Liang Lin and cellists Cyrus Beroukhim and Brinton Smith, with pianist Sara Davis Buechner. 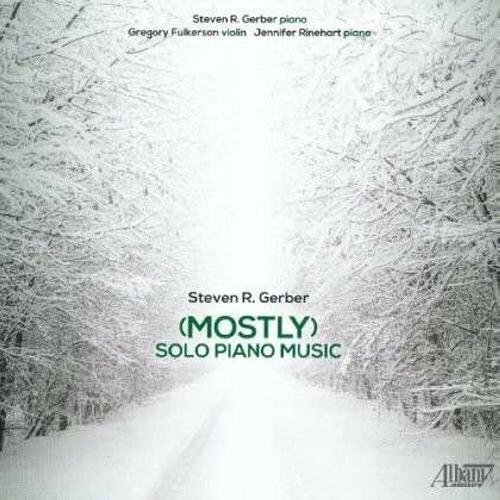 Chamber music releases include the Albany Records CD (Mostly) Piano Music of works performed by Gerber on piano, with Gregory Fulkerson, violin and Jennifer Rinehart, piano. 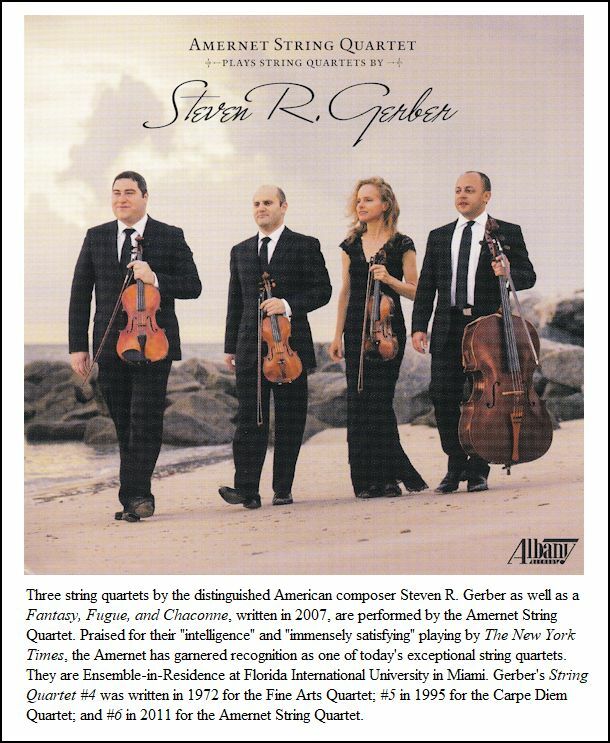 An Albany Records CD of The Amernet String Quartet performing Gerber's String Quartet's 4, 5 and 6 and Fantasy, Fugue & Chaconne for Viola & Cello was released in May 2015. Gerber's catalog of works also includes many song cycles, choral works and pieces for solo instruments. His compositions are published by Mobart Music Publications / Boelke-Bomart, Inc. and Lauren Keiser Music. 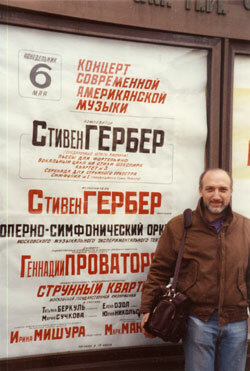 Information about Gerber, including a complete list of works and discography is available at http://www.stevengerber.com. 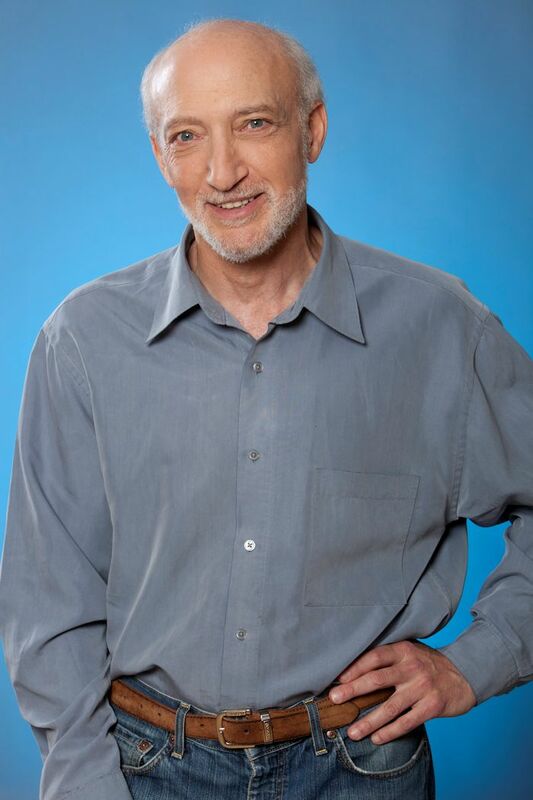 Steven R. Gerber was living in his long-time home of New York City at the time of his death from cancer on May 28, 2015. His beloved partner, Dr. Norma Hymes, died in July of 2010. -- Biography from the Steven R. Gerber website. -- Names which are links refer to my interviews elsewhere on my website. BD. We got together in March of 2003, when he was in suburban Chicago for a performance of one of his works, and dove right into the conversation . . . . . . . . .
Bruce Duffie: You’re in Chicago to hear a performance of your work by the Skokie Valley Symphony Orchestra. Is it a pleasure or a burden to go around the world listening to your music? Steven R. Gerber: Oh, it’s a pleasure, absolutely nothing but a pleasure! BD: [With a gentle nudge] Always? SRG: [Laughs] I can’t really remember the last time I had a performance so bad that it was a burden. So, I would say it’s almost always a pleasure, yes. BD: When you get to an orchestra, they’ve obviously rehearsed the piece at least a little bit. Do you find that you need to do much coaching, or very little coaching, or no coaching at all? SRG: Not usually that much. In this case, I know the conductor, Daniel Boico. I’ve worked with him before and he’s a great musician, so I trusted him very much, and there was very little to say to him. There was one small tempo adjustment I wanted, and that was just about it. BD: I assume that you want to make everything clear in your score so that any musician anywhere can play your music at any time? SRG: Ideally, yes. That’s not easy to do. I find after almost any rehearsal for any performance of a piece, until it’s been played a number of times, there are things in the notation that I want to change to make it clearer. BD: Do you litter your score with lots of little details, or do you leave it pretty clean? SRG: Mine are relatively clean. I don’t put a lot of expressive markings in, and I try not to overdo it. I try to leave something up to the performers. BD: Do you want them to interject themselves into it, or do you just feel they will know your piece as they work with it? SRG: I hope they will know it. When it comes to things like bowings, I’m not a string player, so I hope they don’t take my bowings too literally. Sometimes, for example, they are just phrase markings rather than bowing to be followed exactly. BD: Shouldn’t you then, perhaps, go to a string player just to make sure that all of the bowings — the ups and downs — work? SRG: [Laughs] Maybe I should! I don’t always do that. SRG: Right! I do that for solo pieces sometimes, but even then it’s such an individual thing. I wouldn’t want to make any really good string player feel tied down by what I’d written because each person can come up with their own solutions, and they would be different from someone else’s. BD: Are there lots of right solutions? SRG: Usually, yes! I would say so. BD: Have you basically been pleased with the performances you have heard of your music over the years? SRG: More and more. As I have gotten older, they’ve gotten better. [Laughs] Probably, I’ve just been working with better performers, so generally that’s been true. BD: When you write a piece, do you always write it for a specific performer or group, or do you just write it to be performed, and hope that it will get done? SRG: Either way. Sometimes I write on commission, and sometimes I wrote for a specific performer who’s requested something — though it may not be literally a commission. Sometimes I just write what I want to write, and then go looking for the performers. BD: I assume you get a number of commissions each year? SRG: It varies. Some years I do, but it can change a lot. BD: How do you decide yes or no? SRG: I can’t recall a paying commission that I’ve turned down... which may sound mercenary, but it’s not that I’ve had that many. I remember, the last big commission I had I was asked to write a piece, and my initial feeling was, “Gee, that’s not a combination I’m very interested in.” But, then discussing it with the people who commissioned me, I found a way to do something that I wanted that satisfied them. BD: So, the idea sparked your creativity? SRG: Yes, and that’s happened often with people requesting a piece. A friend who’s an oboist, for example, in Baltimore requested pieces for oboe and guitar, for oboe and bassoon, for oboe, bassoon and piano, and my initial reaction was totally negative. But, then as I started thinking about it, I was able to come up with ideas that I liked for those combinations rather unexpectedly. BD: When you’re working on one piece, do you sometimes get an idea that you think will not work in this piece but would certainly work in another piece? SRG: Yes. Occasionally I work on two pieces at the same time. I usually don’t like to, but even if I’m not really working on them at the exact same time, I may get an idea for the beginning of another piece, which I know won’t fit in the first piece, though sometimes I’m proved wrong. Sometimes it turns out that I can find a way to incorporate it into the first piece, even when I thought it wouldn’t work. BD: When you’re writing the piece, and you’re letting the composition get down on the paper, are you always controlling the pencil as it goes across the page, or are there times when the pencil controls your hand? SRG: I can’t think of any case when the pencil controls my hand, no. You’re not in control of your unconscious, or whatever it is where the ideas come from. I work at the piano, and some of what I do is just improvising at the piano, so maybe I’m not really totally in control of that. BD: You improvise a little bit, and you think it sounds good, and then you quickly jot it down? BD: Are you ever surprised at what you hear coming out of your fingers? SRG: I suppose so. I never thought about it. BD: When you sit down each day at the page, do the ideas always come? SRG: Oh, no! There are weeks when nothing happens. BD: Does that frustrate you? SRG: Sure, of course! I just find millions of ways to pass the time when that’s happening. I do some emails, make a cup of coffee, whatever. But there are definitely weeks like that, yes. BD: [Plays an imaginary game of solitaire] Put the red ten on the black jack... [Both laugh] Do you ever get so far behind that you’re facing a deadline and you don’t know if you’ll complete the piece? SRG: No, that’s never happened. I was worried that it might happen, but it’s never happened yet. BD: You’ve written symphonic works and chamber works. Have you also written piano works? SRG: Yes, I’ve written for piano. SRG: Not recently, but particularly in the ’70s and ’80s I wrote a lot of songs, as well as some choral music. BD: Are there joys and sorrows of working with the human voice? SRG: I love working with texts, actually, even though I haven’t done it for a long time. I find that very satisfying. BD: How do you select a text? SRG: Usually I try to set poetry that I really love. I don’t agree with composers who say that you can’t set great poetry to music, so I usually do that. Sometimes, when I’m writing songs, I would have the musical idea first and then I would look for a poem that would fit the character and the rhythm of something I’d already written. BD: Then you would make slight adjustments, perhaps, because you’re dealing with meter and accents? SRG: Right! But that’s the reverse of the way a lot of people work. Sometimes there’ll be a poet I’ll want to set and it just won’t work for some reason. BD: It won’t work now, but might it work later? SRG: It might work later, sure. For example, when I was writing atonal music, I had a very hard time finding ways of dealing with very regular verse that was in strict forms. Then, as my music got more tonal, it seemed much more natural to work with poets like Robert Frost, for example, or Yeats. BD: You say your music got more tonal. Is it because you wanted to get more tonal, or is this just the way that you evolved? SRG: I think it’s just the way I’ve evolved. It kind of happened by accident, and it actually surprised me when it happened. This was at the beginning of the ’80s. BD: Did it please you? SRG: [Thinks a moment] Yes, it did. I went through a period of writing twelve-tone music, and I was getting tired of it. I was getting tired of using the same techniques, and it pleased me to find my music changing and going in different directions. BD: Does that necessarily make it more accessible to audiences these days if it’s more tonal? SRG: I wouldn’t say it’s a necessity. You can write extremely chromatic tonal music that might be difficult for audiences the way a lot of atonal music is, but in my case, it did make it more accessible. BD: When you’re writing, do you have an audience in mind? SRG: Not really. I mostly write things that will please myself, and then hope that if it pleases me, it’ll please other people. BD: Does it usually please other people? SRG: I think so... [laughs] unless they’re lying to me! BD: I assume it’ll please your friends, but does it please the next layer of acquaintances, and the non-friends? SRG: That’s somewhat hard for me to judge, but from the reviews my CDs have gotten, I’d say probably it does... with some exceptions, of course. You can’t please everybody, and you wouldn’t want to! No, absolutely not. BD: Is your music for everyone? SRG: No, of course not. I don’t think any music could possibly be for everyone. However, it actually annoys me when some people don’t like my music, and yet I know that I probably couldn’t please them and please the people that it does. You’re bound to find things that attract certain people and not others, although it bothers me when people seem to be judging my music — or any music — on the basis of style rather than quality. I find that a very narrow-minded point of view to judge a piece just by what style it is in. BD: But can they really assess the quality on a single hearing? SRG: Most people can’t. It’s hard, even for me sometimes, to love a piece on first hearing. It’s different if I get to know it better and find it doesn’t really hold up. Some pieces I love I didn’t like at all when I first heard them, so it’s hard. BD: I was going to ask if some pieces grow on you. SRG: For sure, yes. What you want on first hearing is that at least it’s accessible or available to an audience, so that they just like it enough so that they have a desire to go back and hear it more. I don’t think you can expect people to understand it fully on one hearing. BD: Do you want them to go back and hear that piece more, or do you want them to go back and hear more of your pieces? BD: Do you find the audiences for your works are growing? SRG: Yes, they have been. BD: I asked if you’d been pleased basically with the performance of your works. Have you been pleased with the recordings that have been made so far? SRG: Yes, very much. I’m very happy with them. There are two CDs of orchestral music, and I’d say they’re all really first-rate performances. BD: Does it bother you in any way that someone can listen to your music at any time of their choosing, rather than being in the concert hall to experience it? SRG: No, no. I have no problem with recordings at all as an experience, although I must say that for me there is an excitement about a live performance that I rarely get on recordings. I wouldn’t say never but it is rare. BD: Do you think that the audiences generally understand the difference between a live performance and recording? SRG: Not always. I’ve heard performers complain about how people expect the same level of perfection in a live performance that they get from recordings. They don’t realize that the balance on recordings can often be totally fake. I have a friend who’s a fabulous violinist, but he said once that when his uncle came to hear him in the concert hall, he was very disappointed because he just felt he couldn’t hear the violinist in the same way he could on a recording. BD: At what point does a recording become a fraud? SRG: That’s a hard question. Glenn Gould might be able to give an interesting answer to that. [Both laugh!] I don’t know. Maybe an idealized version of piece can never be totally realized in a live performance, but I don’t know if that makes it a fraud. BD: Should they both exist as two parallel lines? SRG: Yes, you could just think of it as a different medium in a way. SRG: [Thinks a moment] I think so. I don’t know if there’s such a thing as the perfect performance, but maybe there is such a thing, although it’s hard to say. Even if it’s on a recording, there might be things you get tired of. It’s possible that any performance can be exhausted when you’ve heard it too many times on a recording and it no longer seems perfect. BD: We’re kind of dancing around it, so let me ask the really easy question. What is the purpose of music? SRG: [Thinks again] I would say that I think of music — and art in general — as something very different from nature. Nature is something that’s more perfect. Music is of its time, and exists in a perfect way that life doesn’t. Wallace Stevens [Pulitzer Prize winning American modernist poet (1879-1955)] used the phrase ‘rage for order’. That is how I think of music. It’s emotional, too, but it’s also a sense of something being as perfectly ordered as possible, and to me that’s a very satisfying experience. In the case of music, it exists in time — unlike other arts. It’s a way of just organizing time that’s both beautiful and well-controlled, and also emotional. BD: Is it up to you, the composer, to make that organization, or do you need help from the performer? SRG: You need help from the performer because the music doesn’t exist without performance. Even if it’s just someone reading the score in their head and performing it themselves, that’s a kind of mental performance. So, in that sense you always need a performance. Even if I’m listening to my music in my head, you could say that I’m performing it in my head. BD: Is that an ideal performance? BD: A perfect performance that can be improved upon? BD: Are there times when performers find things in your score that you didn’t even know you’d hidden there? SRG: Yes, occasionally. I don’t know if I can think of an example off-hand, but yes, I think that has happened. BD: We don’t need a specific instance, but does that please you in general? SRG: Yes. I remember when I was first studying composition with Robert Parris. He would sometimes point out motivic connections, for example, or other kinds of other connections in my music I hadn’t noticed, and he felt that was the way it should be. There should be more there than you were conscious of. BD: What other teachers did you principally study with? BD: They have very diverse styles! SRG: Yes, although I don’t think any one of them was really intent on getting their students to write in their particular style. They were fairly open-minded as far as that went. BD: Are you doing some teaching? SRG: Very little. A young college student came to me recently with his first piece. He is someone who’s very talented, and I enjoyed working with him. I hope that will continue, and I wouldn’t mind doing more teaching on an ad hoc basis like that, but I don’t formally teach. BD: You’re supporting yourself on the compositional process and on music? BD: When you’re working with a piece of music and you’re tinkering with it, how do you know when it’s done? SRG: It’s just a sense that first of all I’ve gotten to the end, and second that I’ve done just about as much with all the details that I think I can, and there’s nothing more I can do with it. The poet Paul Valéry (1871-1945) said that a poem was never finished; it’s only abandoned. I occasionally fill it up, but only in terms of details. Usually once the overall shape is finished, I rarely change that. I’m usually pretty satisfied with that, or if I’m not totally satisfied, I think it’s as good as I can make it. BD: So there aren’t lots of versions of your pieces? SRG: No! I occasionally arrange pieces for different instrumental groups, so those are different versions in that sense. I just tinker with details — like orchestration, or change a metronome marking, or bowing, or something like that — but nothing more than that usually. BD: Are the atonal pieces from earlier in your career still in your catalogue? BD: Do you still like to have them performed? SRG: Most of them, yes. There are only a few of them I’d say are among my favorites, but if there are any I really dislike, I guess I would throw them out. BD: But is the composer really the best judge of what’s good or bad? SRG: Maybe not! Yes, it’s very possible. BD: Just in your opinion, is your music great? SRG: I’ve never been asked that question before. Do you want an honest answer? BD: I would like an honest answer. SRG: I don’t know! That’s the really honest answer. I like to think that there are some pieces that might be, but I don’t think of myself as another Stravinsky or another Bartók. I never really have, but part of me says sometimes I overate myself, and sometimes I underrate myself. So, I really don’t know. I don’t worry about too much it. I think it’s genuinely good, or at least I hope it’s as good as I can make it. Beyond that I don’t think it’s my concern. BD: Not thinking specifically about your music, but what, in general terms, do you feel contributes to great music? SRG: I’d have to say just a combination of tremendous craftsmanship with emotional depth. It’s that combination which creates a piece that you can listen to over and over and over without getting tired of it. BD: I assume you enjoy listening to your music over and over? SRG: Usually I do. Sometimes I’ll change moods. Every now and then I’ll listen to a piece of mine I thought I loved, and say, “Gee, there’s something about that piece that bothers me now.” But usually I enjoy listening to it over again, especially if it’s a good performance, and I don’t get tired of it. BD: As is the case today, you’re asked to come to various performances of your pieces. In general, is it the same works over and over again, or is it a good variety, a lot of different things out of your library? SRG: It’s a fair variety. Some pieces are played more than others. The solo viola piece gets done a lot, and a very old solo violin piece, which is kind of atonal, but it gets played quite a bit. Recently my orchestral music has been getting played more, but no, it’s not just the same piece over and over. BD: I assume it pleases you that a lot of pieces get played? SRG: Yes. I’m sure you can ask any composer, and they’ll all tell you that their music isn’t played nearly as much as it should be. BD: Would you want your pieces played by all the big orchestras, and all the great chamber players and soloists all the time? SRG: Sure, why not! Wouldn’t most composers? [Both laugh] I would think so. BD: Would you want to be an elevator? SRG: [Laughs] Not most of it, but maybe one or two things. BD: Thinking about your creative process, if someone came to you and said, “We’re designing a new building, and we want to have specific music in this building,” would you be able to write music for the building? SRG: I don’t know. I’ve never had that kind of that request. I might consider trying it. I don’t like the idea of background music very much, and I’ve never written for film at all. But I might consider it. BD: Is film music just background music? SRG: Usually I think it is. It’s usually secondary. It’s supposed to enhance the film. BD: You can’t write music that would lead the action along? SRG: Yes, you can, but people are not paying the same kind of attention to it that they do in a concert. So, in that sense it’s in the background. BD: When you write a piece of concert music, are you trying to lead the audience to a specific place? SRG: Yes, I’m trying to lead them through my piece from the beginning to the end, basically. BD: Are you are showing them what’s there, or getting them to feel certain feelings, or think certain thoughts? SRG: Certainly not to think certain thoughts. Feel certain feelings? I guess so, but I don’t verbalize it. I just want them to hear the music the way I hear it — whatever that is — and to feel about it. I suppose that’s what I do, but I don’t really put that into words. BD: Yet, you’ve lived with it, and people at the concert are coming to it perfectly fresh. SRG: Yes, I know. I certainly don’t write ‘program music’. I could describe in emotional terms what my music sounds like, and I hope people will get a similar reaction. BD: Do you ever put detailed program notes with any of your abstract pieces? SRG: They are not usually very detailed. My notes tend to be more about the form — just things that might help or guide someone through a piece on first or second hearing, so as to know what to expect, and where the main sections are. Beyond that, I’d rather leave it to them. BD: When you write music to a text, then it’s got to be a story. Are some of your orchestral pieces based on a story, or about a story? SRG: No, not at all. The piece that was done in Skokie has a title that might sound programmatic. It’s called Dirge and Awakening [included in the CD shown above-right], so it does begin with something like a funeral march, and then has somewhat of an optimistic ending. But I really didn’t think of that as a program when I was writing it. It was just the way the piece evolved. BD: Did the piece come first or did the title come first? SRG: First came part of the piece, then came the title, and then came the rest of the piece. I didn’t set out to write a piece with that title. I just wrote a totally abstract piece and then thought it was a nice poetic title. BD: Does it bother you when you’re forced to put a title to a piece? SRG: Sometimes it’s hard, yes. Occasionally I have trouble coming up with good titles for pieces. It’s sort of a trend nowadays to write very poetic titles, which I rarely do. This piece was kind of exceptional. I usually go in for titles more like String Quartet, and Symphony, and Trio. BD: Would it bother you if the publisher put a title or a nickname to it? SRG: Yes, I don’t think I would allow that. BD: What happens if you don’t have a choice? SRG: I have never run into that. I’ve never had someone say, “This is now to be called the ‘Pastoral Symphony’, or the ‘Eroica’!” [Both laugh] I don’t think I would like that very much. BD: Do you expect your music to be listened to fifty, or a hundred, or even 150, or 200 years from now? SRG: I hope so, but I have no idea. I have no idea what the world’s going to be like if we don’t blow ourselves up. With the internet and CDs, I suppose it’s easier to have the expectation that someone will still be hearing it out there. BD: This is a joker that we’ve now thrown into music. In the last fifty or sixty years, pretty much every performance has been documented, and does exist. I just wonder if that’s going to make it easier or harder for future generations to come up with their own ideas about your piece, or about any piece. SRG: You mean because there is so much out there that’s competing with a new performance? SRG: I’ve never run into performers worrying about that. They usually like to do things their own way. In fact, they often don’t want to listen to another performance until they’ve given their own, which is understandable. SRG: [Thinks a moment] I guess I’m too worried about what I’m doing both musically and in my career to think about that a lot. That may sound sort of self-centred, but it is so unpredictable. It’s hard for me to imagine, and I really try not to spend a lot of time thinking about it. [Laughs] I suppose I could make myself gloomy if I really wanted to, but I try not to go in that direction. BD: In your music or music in general, where is the balance between art and entertainment? SRG: I think of it as art, but I suppose art should be entertainment, too. My music is rarely light, but I hope it’s enjoyable to listen to. BD: Do you have any particular expectations on the part of the audience? SRG: I have hopes. I have an idea what an ideal audience would be like, but as for expectations, it’s hard for me to understand how audiences perceive me. What do they get out of it? Do they find it satisfying to just hear a new piece once, and then forget about it? Ideally I would like them to be interested in, and love the music so that they’d want to hear it again. If it’s recorded, they’d go out and get the recording, and really get to know it well. That’s my reaction if I hear a new piece that I really like — I want to really get to know it, and I want to study the score. BD: I would think there would be so much out there that it would be impossible to get to know them each time. SRG: There’s not that many works that I like so much that I really want to get to know that well. But when I hear something I feel that way about, then I really do. BD: Is it part of the obligation of you, the composer, to know what else is out there? SRG: No, that’s a personal thing. For me, it’s interesting. I’ve always been fascinated with what everyone is doing — whether I like it or not — and I spend a lot of time just trying to keep up with things. I’ve always enjoyed digging up obscure composers from the past and getting to know their music, but I’m not sure it’s really necessary — at least after a certain age. When you’re young, it’s important. After a certain age, I’m not sure it’s necessary for a composer to do that. Often, as composers get older, they just lose interest in what other people are doing. I’m not like that, but I’m not sure that’s a bad thing. I certainly don’t think they have an obligation to keep up. BD: So, you’re mostly concentrating on your own body of work? SRG: No, as I say, I really am interested in finding out everything. I love just going to the library and coming home with a stack of scores and CDs, regardless of whether I think I’m going to like them. This is just to know what’s there, and it would be worth doing. BD: You mentioned that you composed at the piano. Are you a pianist? BD: Do you perform your music in public? SRG: Once in a while. I used to do more, but right now it’s not very often. I don’t practice a lot, but if I have the opportunity, I will. BD: Do you also play other people’s music? SRG: Not anymore. Maybe ten or fifteen years ago I was doing some concerts with a singer, and I would occasionally do some solo piano music. I was in Russia for one concert, and I did some Copland and some Prokofiev. But it’s pretty rare. There are too many amazing virtuosos out there that could do it better than I can. About a year ago, I did a concert in both Washington and New York of half of my music and half of Robert Parris, with whom I studied. I did do a world premiere of a piece that he actually wrote about forty years before. I played it in both those concerts, so once in a blue moon I’ll do something like that, but not very often. That was an exception that proved the rule, because there was no one else playing it. So I figured I might as well play it if no one else is playing it. BD: I assume it must have been especially pleasing to you to play something of your teacher? SRG: Oh, yes, it was, very much so! His widow came, and also his daughter. It was very nice. I actually helped his CD come about. I knew the guy that was running CRI at the time, and I knew he had a grant. So, I just called him up and said, “You really should put this on your American Masters Series. The money’s there, and it’s good music, and it should be on CRI!” So, they did it. BD: Being a performing pianist, does that make you a better composer? SRG: I think so! Working with other musicians and playing my own music with them has probably helped, too. SRG: No! Things have been getting a lot better, but I wouldn’t say I’m at the point where I would like to be. Every composer thinks that everyone should be playing their music. SRG: What’s the alternative? I don’t think there’s anything else that I’m that good at, or that I would have enjoyed as much. It’s sort of asking whether being alive is worth it. I like to think the answer’s yes! [Both laugh] I don’t have any transcendental justification for that point of view. It’s just an act of faith to feel that way. BD: Do you have any general advice for younger composers coming along? SRG: My main advice would be to really know the literature as thoroughly as possible; to play an instrument well; and to have a lot of persistence, a lot of patience, and a lot of frustration tolerance. I would also say not to do it unless it’s what you really love doing. BD: Have you any advice for performers who want to do new music? SRG: Just treat it like any music. It’s shocking that many performers don’t play any twentieth-century music at all, not to mention new music. Some of them, I guess, are discouraged from learning it by their teachers. That’s less true now than it used to be, but I find that very strange. Performers should know all the literature, even if they don’t like it. They should know music and styles they don’t care for, just to know them. I don’t think they have an obligation to fight things they don’t like. What they really should do is find music that they truly love, and just play that all the time, and not bother with the stuff they don’t love. However, they should try to understand everything, and see if they can expand their tastes. But I don’t think they should play contemporary music for the sake of doing it, if they can’t put their whole heart into it. BD: You’re saying they should be able to find things that capture them? SRG: I hope so, yes. BD: Have you any advice for audiences? SRG: [Thinks a moment] Yes. It’s kind of hard because the two extremes are bad. One is to just stick with the things that you already know and love, and not try anything new. The other, which is equally bad, is to not be honest about what your reactions are, and to feel you ought to like something that you don’t. Audiences should try hard to get to know contemporary music, and twentieth-century music in general, and basically be open to it. Nevertheless, at some point they have to trust their own reactions. SRG: It’s different for every composer. For me, I’d say only occasionally. Most of the time it’s not. I’ve enjoyed it when I’ve been working with texts, particularly. In recent years I’ve done something very new for me. I’ve written some pieces based on spirituals, where I take little fragments and then completely transform them into something new. I did that recently with folksongs, also. One piece, called Gershwiniana for three violins [or two violins and viola], will be out on a CD in June or July. I just took little fragments from Gershwin and re-worked them. For some reason I found those things a lot of fun. When I can make it something which has some aspect of a game to it, I enjoy it. I’ve done some piece where I take letters from people’s names, and try to find a way of making that the basis of a melody, and writing a piece based on that. Maybe when there’s something that imposes an external structure, somehow that makes it both easier and more fun. Most of the time, though, it’s not. Most of the time it’s very slow, painstaking, and frustrating, although it’s satisfying when you reach the end, and you’re happy with it. BD: [Again, being optimistic] I hope you’re happy with a lot of your music. SRG: Yes, I think I am. BD: Thank you so much for the conversation. SRG: Thank you. I enjoyed it. This conversation was recorded in Evanston, Illinois, on March 23, 2003. Portions were broadcast on WNUR five days later, and again in 2006 and 2016. This transcription was made in 2018, and posted on this website at that time. My thanks to British soprano Una Barry for her help in preparing this website presentation.